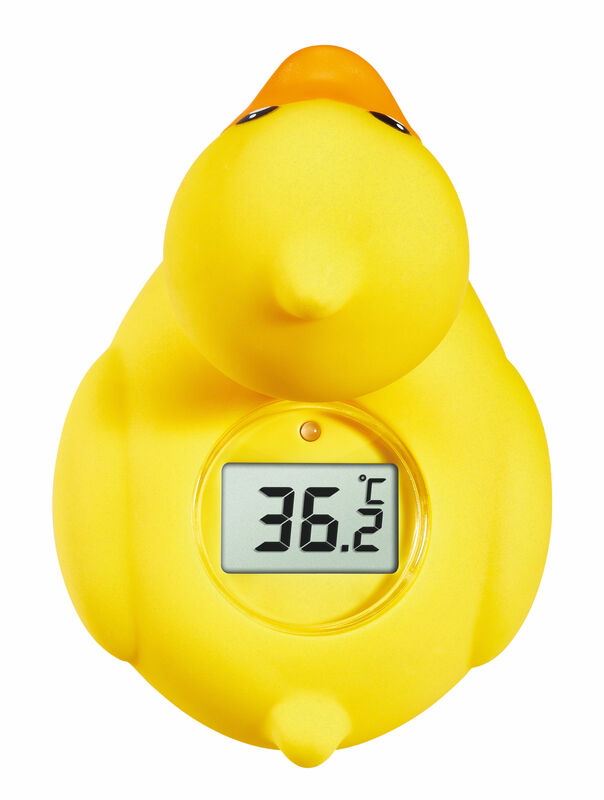 This digital bath thermometer with its cute, yellow squeaking duckling design is ideal for children and babies, as it increases safety while bathing. 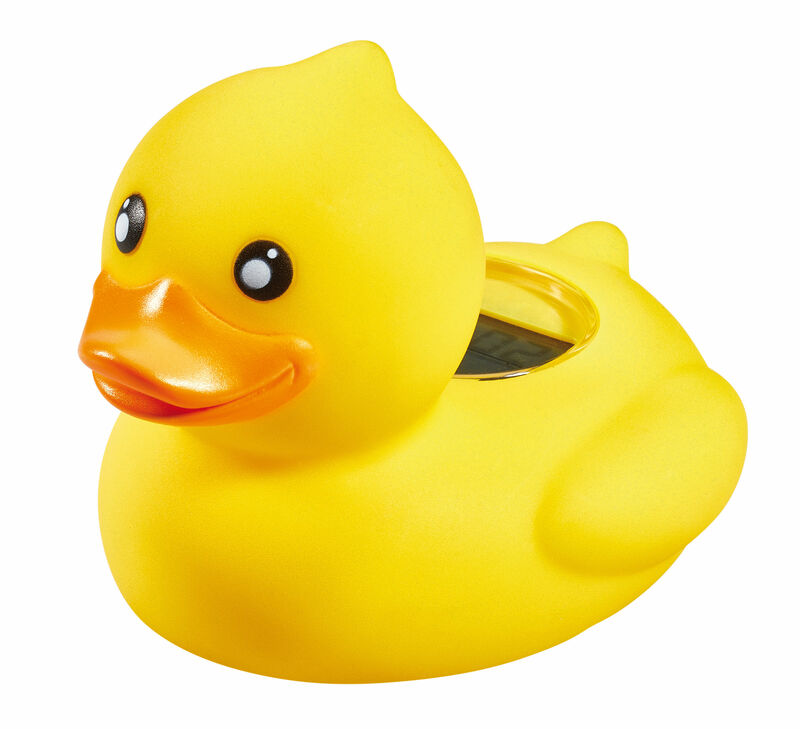 The floating duckling shows the water temperature on his back, which is also easy to read. A coloured LED light warns when the bath water is too hot or cold and thus protects against scalding or cooling. 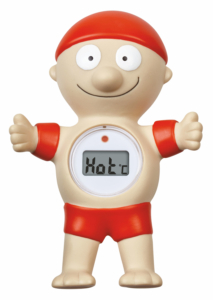 The thermometer automatically switches on when gets in contact with water and switches itself off after use.